Valley of flowers Trek is truly one of the most famous trekking place of Uttarakhand. An ultimate trek for camping in summers and said to be a summer trekking destination. The beauty of the place is surrounded by the colourful flowers as well as the majestic snowy mountain peaks. The Valley of Flowers trek starts from Govindghat and then steep trek to Ghangharia. The beautiful trail offers you an adventurous trekking trail and trekkers can enjoy the natural beauty with great view of the stream. The total trekking distance from Govinghat to Valley of flowers is 13 km. Valley of Flowers trek in Uttarakhand is one of the easy to moderate trekking trail for beginners. Trekkers can capture the rich variety of birds and butterflies during this trek to the Valley of flowers. The first must visit attractions of valley of flowers trek in Uttarakhand. Govindghat, small hamlet adorned by valleys and situated on the way to fourth dham of the chardham yatra ‘Badrinath’. Trekkers can see the confluence of Rivers Alaknanda and Lakshman Ganga at Govindghat in Chamoli district, Uttarakhand. 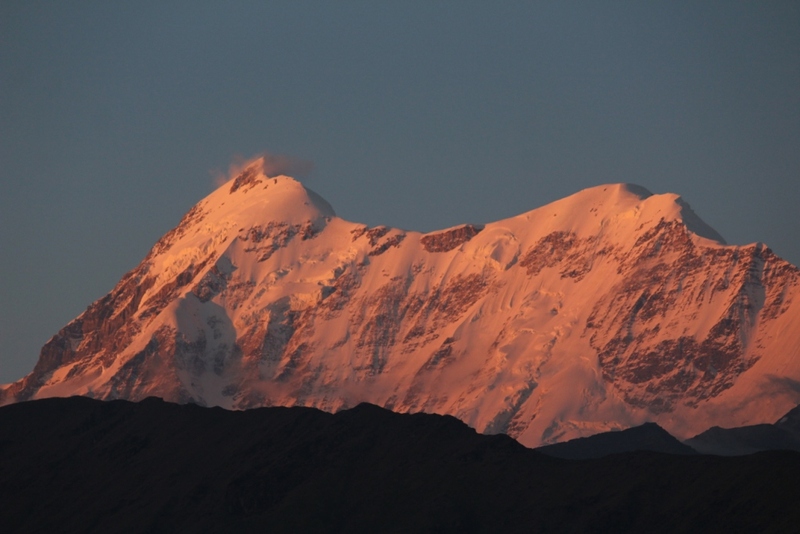 It located at an altitude of 1800 meters and lies 22 km from Joshimath. If you are planning to visit pilgrimage sight, govindghat is best to start the magical place of Uttarakhand. Govindghat is a gateway to Hemkund sahib and valley of flowers trek. Trekking in Uttarakhand Himalaya has a magical charm of its own and one can get to see the spectacular view of the valleys and waterfalls. The best time to visit Govindghat is in summers and monsoon. As well as, trekkers find the large number of accommodations in Govindghat. Apart from this, one can also experience the camping facility. 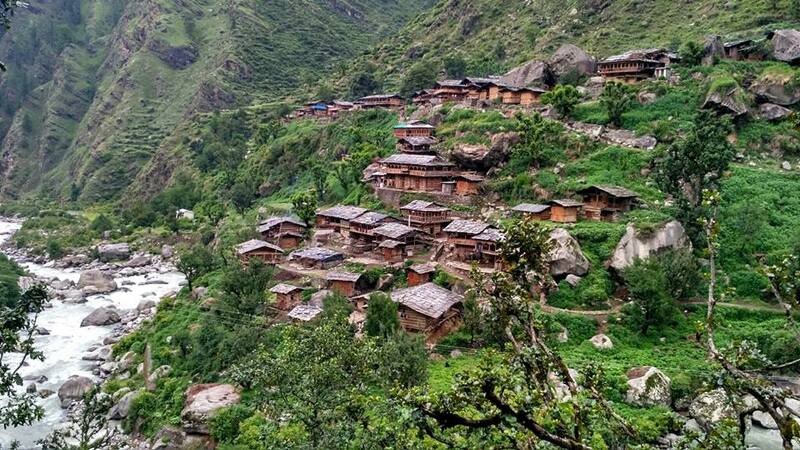 If you are planning to visit Ghangharia, make sure to be careful from the marvelous beauty of this small hamlet covered with the enchanting peaks. Ghangharia can be reached after 13 kms trek from Govindghat. 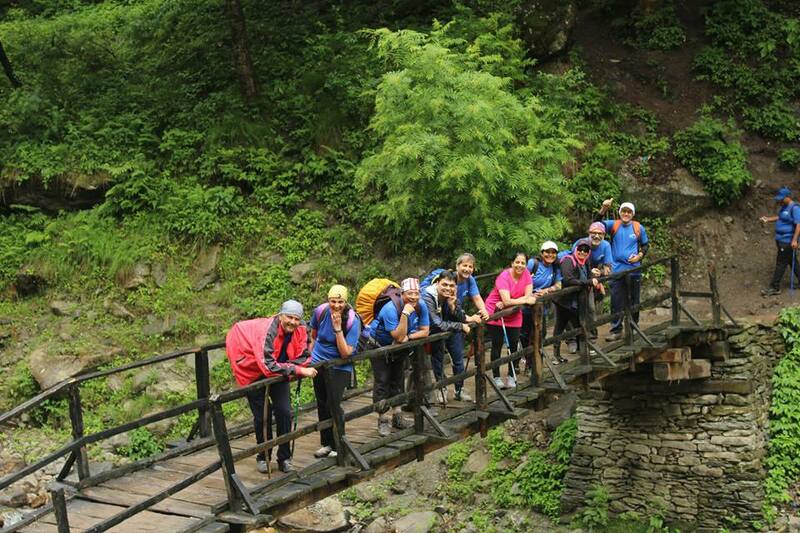 The trekking trail is through the green meadows and over the beautiful bridge. Ghangharia is absolutely energetic with beautiful valleys all around. This place is perfect for nature lovers and best summer treks in Uttarakhand Himalaya. The best part of this place apart from the streams are the Hemkund sahib gurudwara and the flowers valley. We all know that this pilgrimage site is most popular for Valley of flowers and Hemkund sahib trek but it is additionally a must visit place to wander in the lap of the Himalaya. Valley of flowers is 3 km from here and Hemkund sahib is 6 kms, located at an altitude of 3,050 meters above sea level in Chamoli district of Uttarakhand state. One may see the confluence of the Pushpawati and Bhyunder Ganga River at Ghangharia, which forms Lakshman Ganga. Going for a Valley of flowers trek in the valley of Uttarakhand Himalaya is a wonderful experience. Valley of Flowers is a part of the Nanda devi national park and also a Unesco World Heritage site. It is a great trekking trail with the beautiful view of the snowy mountains and greenery all around. While trekking towards flowers valley, trekkers can get to see the unique varieties of flowers like Himalayan cinquefoil, Vajardanti, Primula-denticulata and many more. The one of the popular summer trek in Uttarakhand Himalaya. Valley of Flowers in Uttarakhand – must visit attractions, at an altitude of about 14,100 feet above sea level, the wonderful valley of flowers trek takes you across waterfalls and beautiful valleys. Here, you get a chance to see a full bloom valley of colorful flowers. In the month of July and August, best time to visit flowers valley. One of the best visit attractions of Valley of flowers trek. Hemkund sahib gurudwara in Uttarakhand, one of the most beautiful and kind places. It popular for its unique architecture and also known as Hemkunt sahib. Hemkund gurdwara is a holiest shrine in Sikhism and thousands of Sikhs come here every year. The view of the Lokpal lake adds a great spark to this attraction. When you visit the Hemkund trek during monsoon, you will see the large number of devotees take a dip in the holy kund. One of the most famous tourist attractions in Uttarakhand and shrine believed to be scared by the Hindus and Sikhs. Hemkund sahib is a stunning gurudwara, nestled amid the majestic Himalayan ranges. The trekking trail offers the scenic view of the streams, meadows and the beautiful valleys. Gurudwara Shri Hemkund sahib dedicated to tenth sikh guru “Guru Govind Singh”, stands at 4329 meters above sea level in Chamoli district, Uttarakhand.